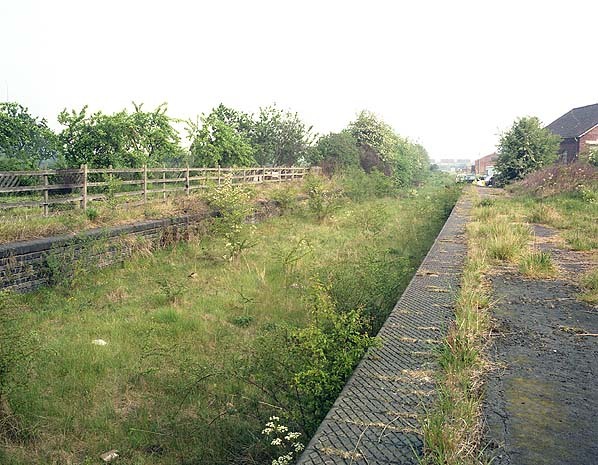 Present state: Platforms and goods shed still extant. The goods shed is occupied by shed occupied by 'Car Care'. The two storey station house now a private residence. 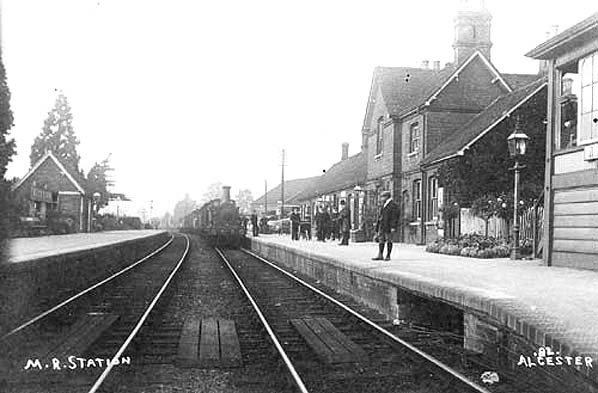 The line between Barnt Green and Ashchurch was built in four stages between 1859 and 1868, providing an essential link for the various communities along it. The main line from Birmingham to Gloucester had failed to serve such centres as Redditch, Evesham and Alcester. The line also formed an important diversionary route running parallel to the main line; this was particularly important in the days of steam as the route bypassed the notorious Lickey incline. Some stations on the line had closed during the 1950's and the Evesham to Redditch section of railway line was closed to passengers on a temporary basis on 1st October 1962 because of the poor condition of the track and substitute bus service was introduced. Goods traffic was retained at Studley and Alcester. The passenger service between Evesham and Redditch was withdrawn from 17th June 1963 and the line closed completely on 6th July 1964 with the track being lifted by January 1965. On 1965 there was an attempt to close the remaining section between Redditch and Barnt Green but the line was reprieved. 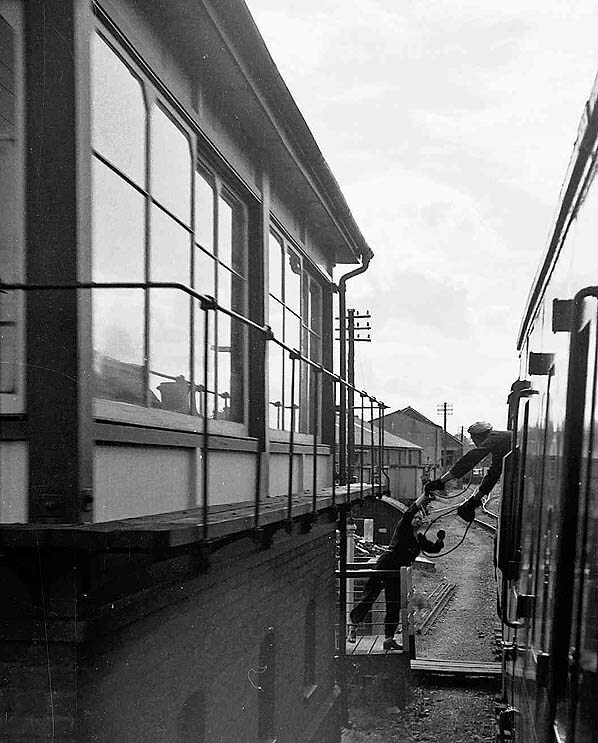 Redditch station was moved to the north side of Bromsgrove Bridge into the former goods yard. This allowed the former station site to be cleared for the construction of a new bus station as part of the Kingfisher Shopping Centre development. Redditch - Ashchurch train exchanging tokens at Alcester in June 1962.